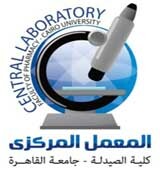 The Central Lab., Faculty of Pharmacy - Cairo University was established to serve scholars and graduate students and members of faculty staff. The Central Lab. has played an active role in directing researchers and contributing in the increament of the rate of researches presented and published internationally, as well as enriching the scientific material of the messages delivered, to make it in competition with the communications world, and is currently developing the plant and provide the latest equipment of scientific research to keep pace with progress in the pharmaceutical industry. The Central Lab. achieves much lower cost for analysis compared to similar research centers. For a classy and unique scientific research.